The most natural application of argument writing is in proofs, which most often come up in Geometry, and should also usually be used in Algebra (but rarely are in my experience). To make a common core connection, standard for mathematical practice #3 requires students to "Construct viable arguments and critique the reasoning of others." Most students experience with proofs (and perhaps you remember your own) is with column proofs like this, for proving things about angles, line segments, or shapes. Have I induced any terror sweats yet? But proofs can also be written in paragraph form, which is where the English training and Hillcock can be applied. Reasons are the warrants, the statements are evidence, and claims will be what must be proved. "Prove that angle A is a supplementary angle," or "prove that the lines defined by y=2x+3 and y=2x-25 are parallel"
But...I don't even know how to explain what a proof is! Watch this adorable TED-Ed video introducing and explaining the basis and application of mathematical proof. "First, a proof is an explanation which convinces other mathematicians that a statement is true. A good proof also helps them understand why it is true. The dialogue also illustrates several of the basic techniques for proving that statements are true. Table 1 summarizes just about everything you need to know about logic. 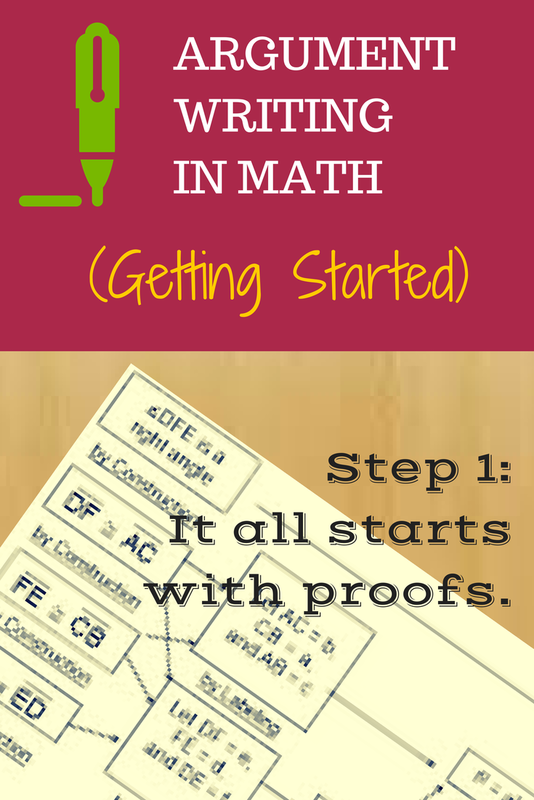 It lists the basic ways to prove, use, and negate every type of statement. In boxes with multiple items, the first item listed is the one most commonly used. Don’t worry if some of the entries in the table appear cryptic at first; they will make sense after you have seen some examples.